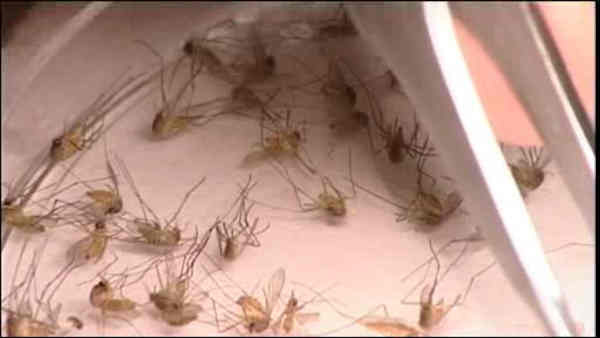 MOUNT VERNON, Westchester County (WABC) -- The Health Department discovered mosquitoes carrying West Nile virus in Mount Vernon, Westchester County, for the first time this season. Although health officials treated the area, residents should remember to take preventative actions, such as using insect repellent and removing standing water. Symptoms of West Nile virus include high fever, headaches, seizures or paralysis. Mosquitoes carrying West Nile virus were found in Staten Island in June, and the area was treated there as well.